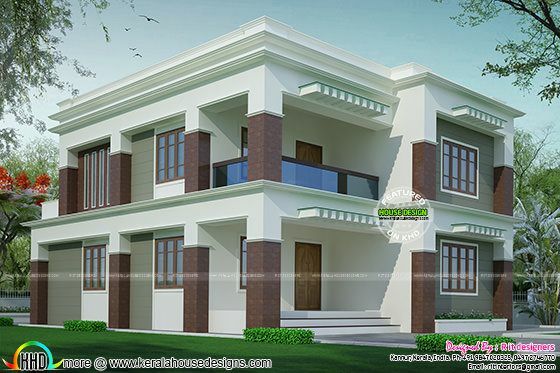 Decorative style flat roof house architecture in 2703 square feet (251 Square Meter) (300 Square Yards). Design provided by R it designers, Kannur, Kerala. 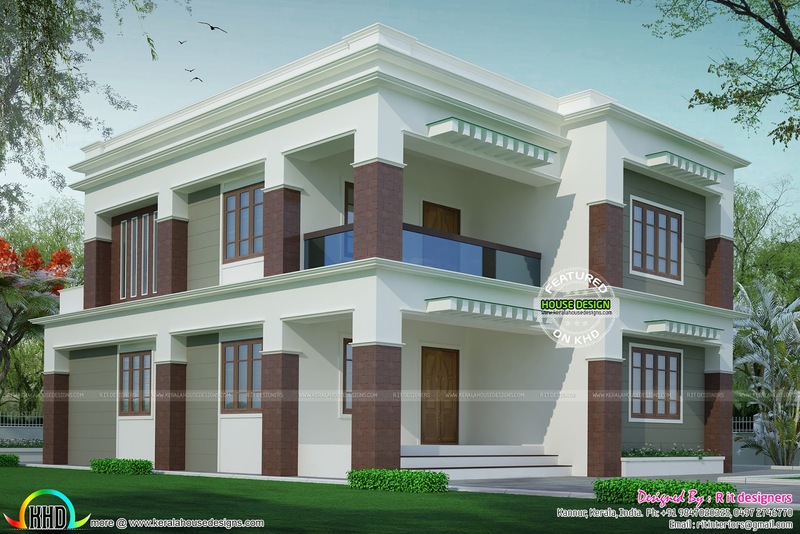 Ground floor : 1581.33 Sq.Ft. First floor : 1121.50 Sq.Ft. Total area : 2702.83 Sq.Ft.